1. 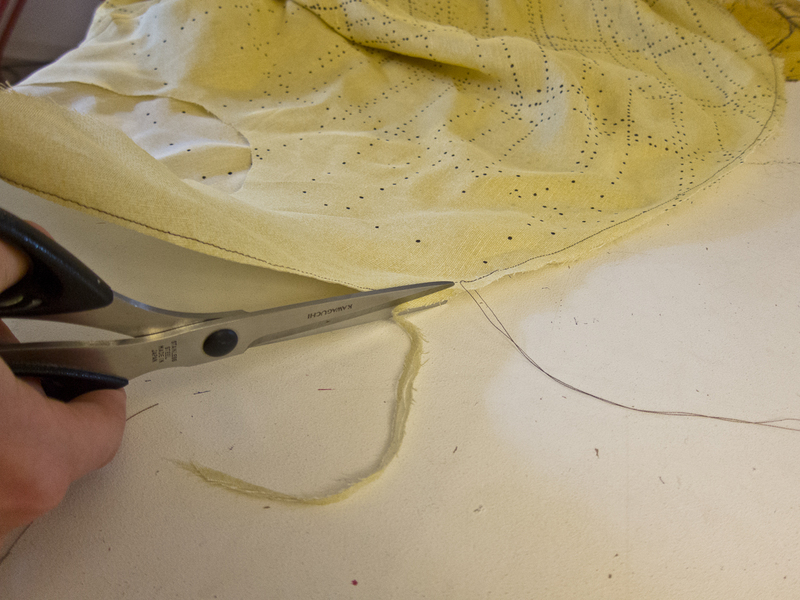 When cutting out your pattern pieces, always add 1,5 cm in seam allowing. 3. 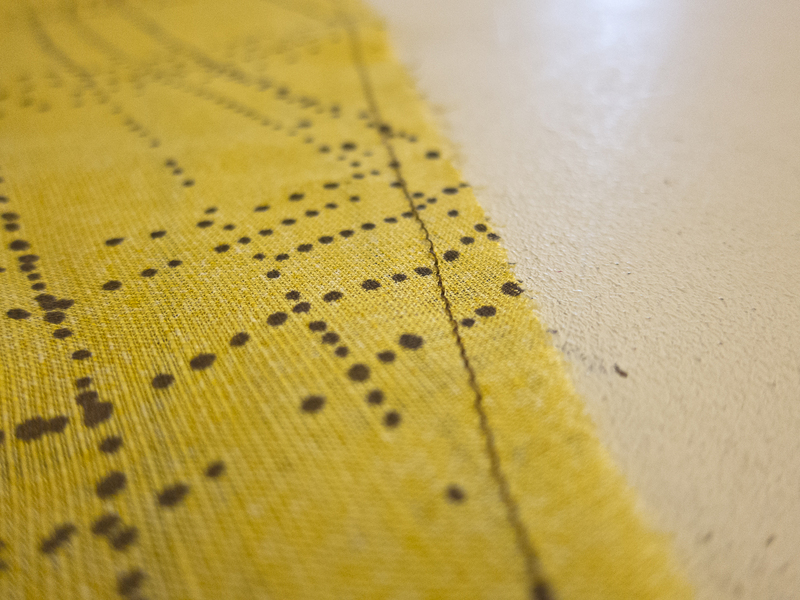 So, stitch with a straight seam, 0.75 cm from the edge of the fabric (normally the edge of the presser foot of the sewing machine. 4. Cut away the un-even edge, leaving about 4 mm “clean cut” edge, along the seam. The reason you don’t stitch 4 mm in from the beginning is that fabric naturally moves and might distort the seam a little. It’s prettier to do it like this, and with a little practice you’ll do it faster than one-two-three! 5. Next step is to iron the seam open or flat together to one side if the edges are too sensitive. YOu are still working on your “right side”, the outside of your skirt. 6. Turn the skirt inside out, so that you are now working on the inside (the wrong side). This is where your French seam will be. Iron your seam flat and pretty, edge to edge, so that the seam it self is really on the edge. 7. Now, sew along the freshly ironed edge, presser foot against edge, about 0.75 cm. Make sure that your raw edge (the one on the inside now) is covered by the final seam. 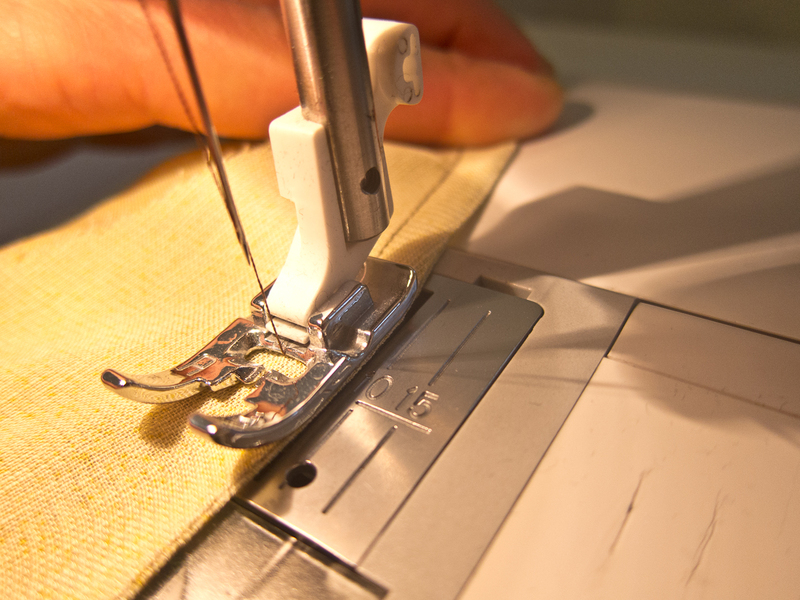 If not, you will find yourself with ugly small threads on the outside of your skirt, very hard to cut or trim away. 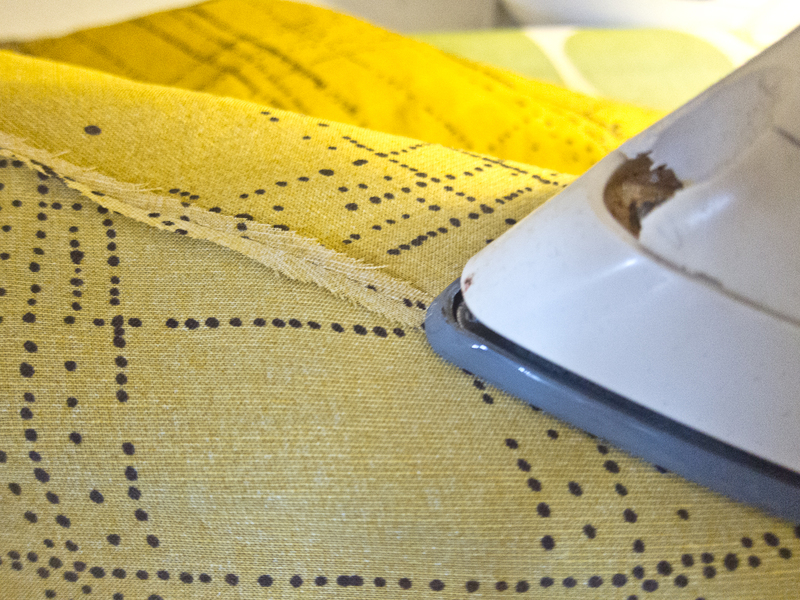 It’s better with a wider seam if you are not sure 0.75 cm will cover the raw edge. 8. 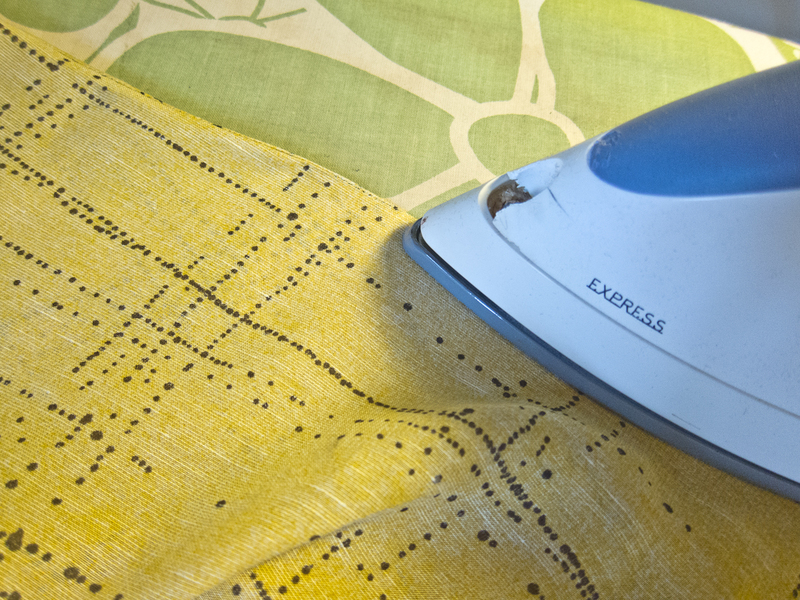 Once you are finished with your final seam, move your skirt back to the iron and iron flat against one side, making sure it’s smooth and nice on the outside (the right side). 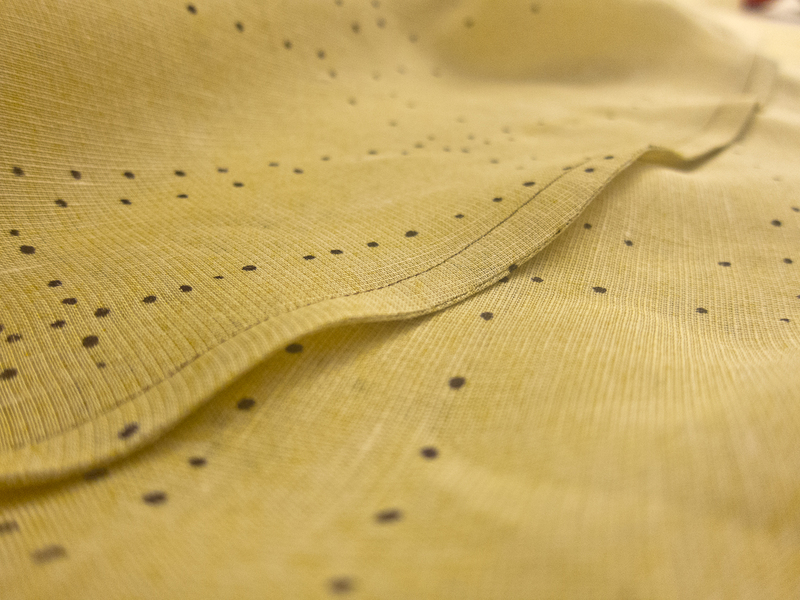 Voila, your finished seam of the inside of your skirt. Very, very pretty and very professional!